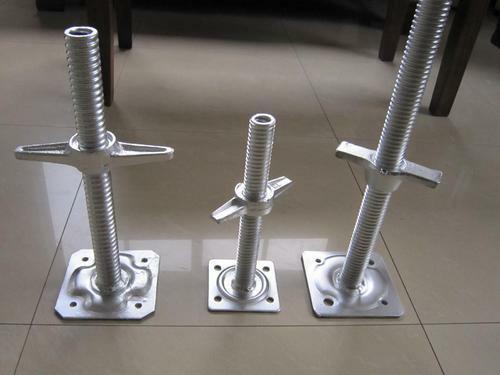 We offer high quality Adjustable Base Jack, which are acknowledged in the market for its durability and corrosion resistant feature. Our product is trusted by the clients for its adjustment feature, which enables scaffolding over uneven terrain. Available in various specifications and can be customized as required by the clients. 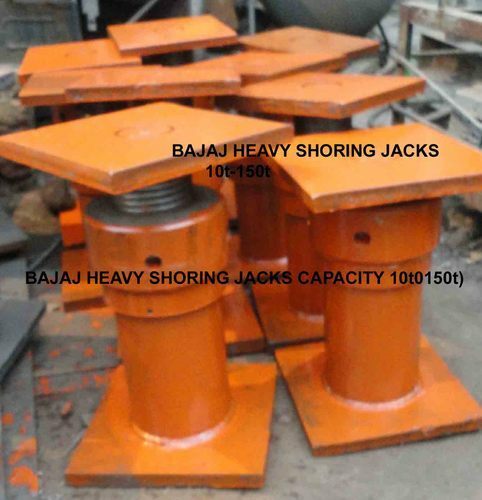 Furthermore, we offer the Adjustable Base Jack at industries leading prices. Adjustable base jack has a very sturdy steel stem of 35mm specified diameter with a nut restraint to guarantee that the stem has least engagement into the Standard of 150mm. The Adjustable base jack can engage twin 100mm. wide bearers. The Adjustable-U-head jack has a solid stem of 35 mm specified diameter with a nut restraint to guarantee that the stem has least engagement into the Standard of 150mm. The U head jack can engage twin 100mm. wide bearers. 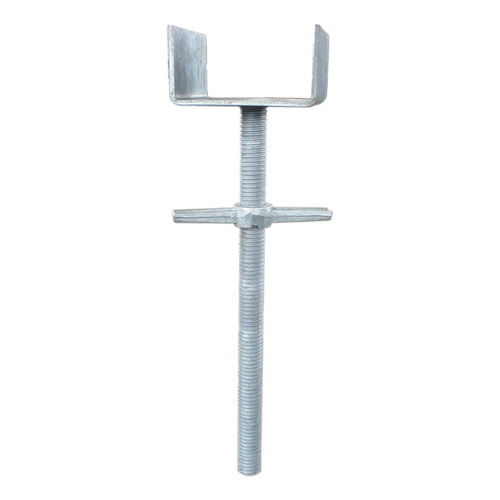 The Universal Screw Jack is an efficient method of jacking which is used either at the top or bottom of a scaffold structure. It is used in combination with Fork heads, Socket Base and Drop head Adaptors. 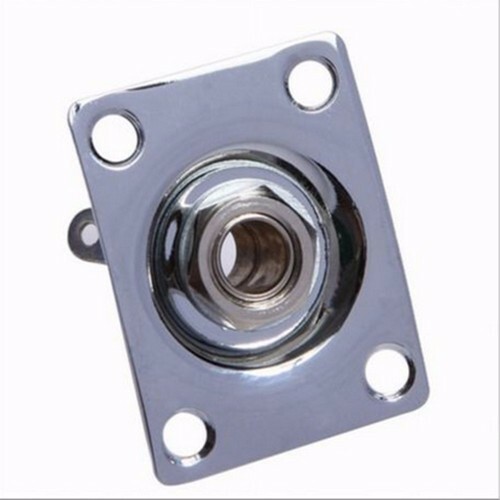 The Socket Base is used in combination with the Universal jack and is drilled to permit the insertion of a securing bolt if required. The dimensions are as mentioned. The Drop head Adaptor units allow easy conversion of dropheads from the Waffle and Trough or Metriform Support Systems to use with Quiklok. Looking for “Adjustable Base Jack”?